If you use cloth diapers you realize very soon that there are a lot of components to using cloth diapers. I like to make things as easy as possible and organized, so I created My Beautiful Diaper Station. Just a changing table was not going to cut it. 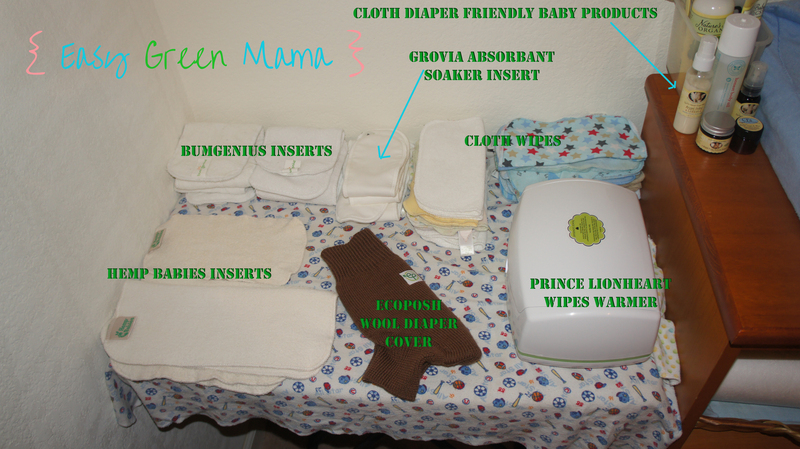 I needed an additional table to hold all my cloth diaper goodies so I used an adjustable small table I already owned. You can use any small table or even a TV tray table. I highly recommend a changing table with 3 cubbies like mine because everything you need is easy to get to. They start around $150 a good option would be the South Shore Changing Table ; a more expensive option would be the Pottery Barn Sleigh Changing Table. Also, I placed the Diaper pail and Diaper Genie right next to the changing table for easy quick access! 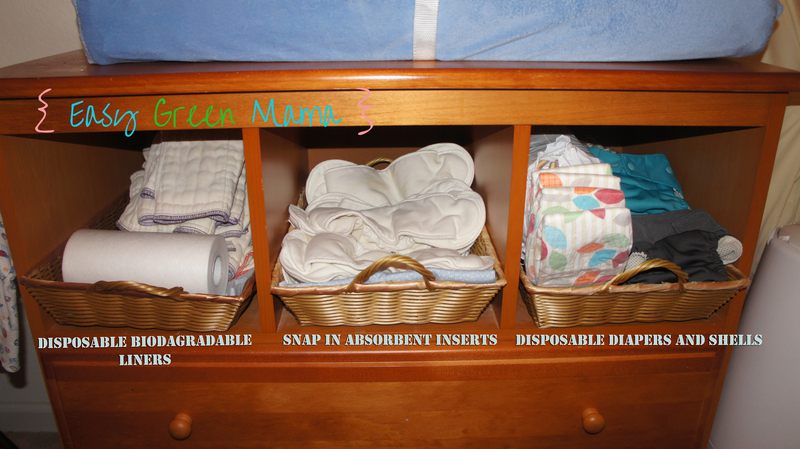 Let us know what tricks you use to organize your Cloth Diapers! I have a nice cubicle to have them easily available unfortunately it’s easy access for the baby to grab at and pull them all out.